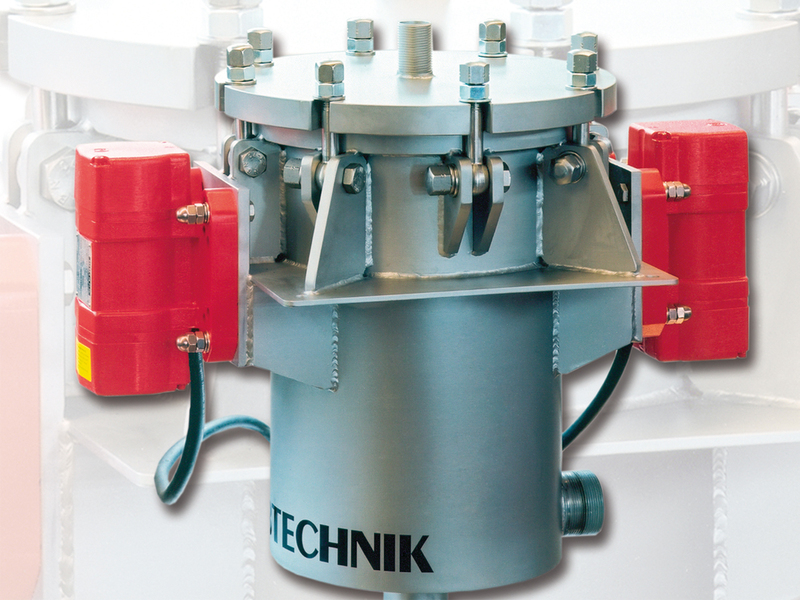 The control screen SKS is used for safely removing foreign bodies such as bolts, paper towels, rags or undesolved agglomerates from suspensions. 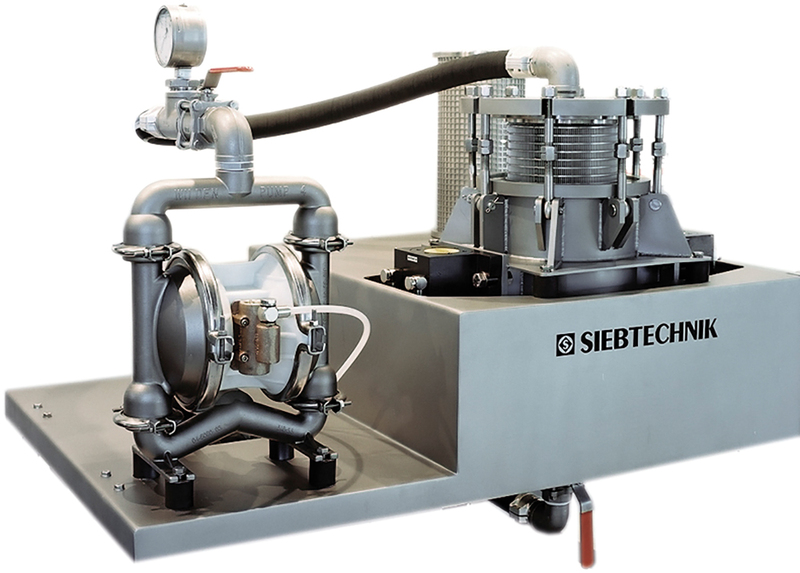 This machine is supplied as a closed system which enables for example, control screening of highly viscose products under pressure or products containing solvent without releasing any vapours. Main area of use for this machine is control screening prior to packaging, loading or further handling, of products in the building, paint, chemical, food and pharmaceutical industries. The material to be screened is pumped axially into the vibrating container. Inside the container the suspension flows through a slotted screen basket from the inside to the outside, with the coarse particles being retained. Due to the vibrations of the container, these particles move to the bottom where they settle and from where they have to be removed perodically via the drain point. In the manual version this is indicated to the operator when a certain limit on the manometer is reached. 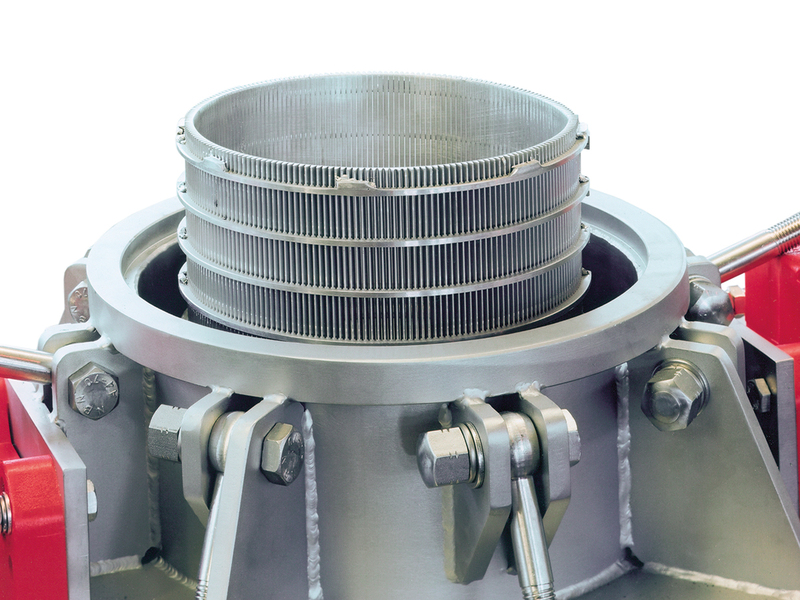 On the automated version a magnetic valve is opened to discharge the material when a set limit is reached. This suspension control screen is executed with a stainless steel container which can operates with up to 5 bar pressure. Two maintenance free eccenter motors are fixed to the container generating linear vibrations, which ensure that marginal particles are cleanded from the slotted basket. Further mechanical cleaning of the slotted basket is not required. We have incorporated the demand for an easy to clean container by smooth surfaces and no protruding edges. Changing the basket is very easy, after loosening the flange connection, it can be removed without any tools.